Musings of a mission-minded Episcopal priest. The Rev. 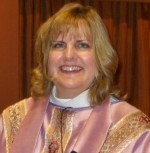 Canon Susan Brown Snook is an Episcopal priest, wife and mother. She serves as Canon to the Ordinary for Church Growth and Development in the Diocese of Oklahoma. Previously, she was church planter and rector of the Episcopal Church of the Nativity in Scottsdale, Arizona, which she founded along with a terrific team of laypeople in 2006. Contact Susan at snook.susan@gmail.com. I was very excited to see someone in TEC wants to talk about starting new churches. I’ve been appalled at the lack of interest in this despite the fact that so many of our existing churches are dying, aging out in place. I planted a new church in the Diocese of Olympia in 1990 and found that most clergy thought I was crazy to take that on, and really had little interest in how it was done or why it should be done again. It was done with considerable diocesan support but it was a one-off event. No effort to learn from the experience what worked and what didn’t, no attempt to see where else a new start should happen. New evangelical Biblical fundamentalist churches are springing up all over as the population in Washington state grows but no new Episcopal churches are planted. One consequence of our decline along with other mainline churches is that protestant Christianity is now seen as being what the fundamentalists say it is. So almost half of Americans think evolution is not real, and a very anti-scientific mindset is growing. We in TEC are failing to fulfill our mission. I commend you for your work on this and would like to be of whatever help I can be to this effort. Fred Jessett, retired Episcopal priest, Diocese of Olympia.